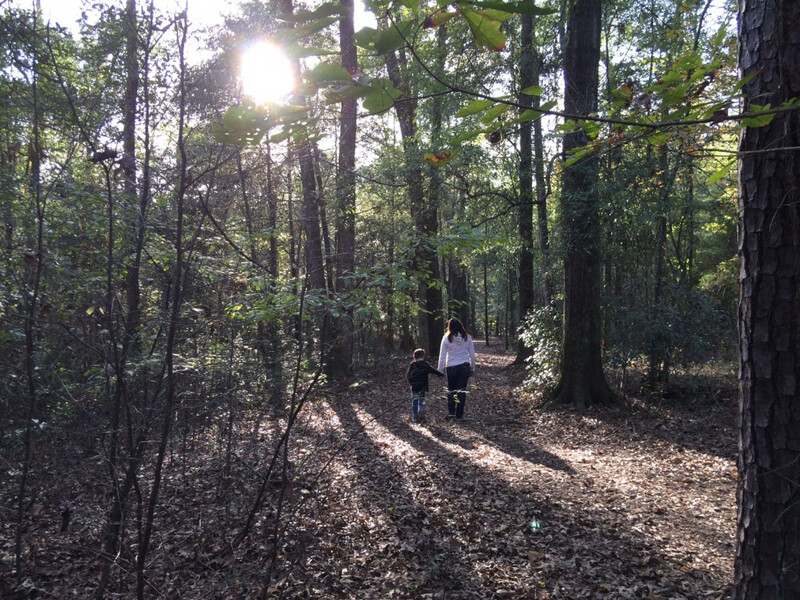 Take advantage of the Alabama outdoors at the Alabama Nature Center, a nature lover's paradise. All three trails total five miles, with each just over 1.5 miles long. Depending on which trail you tackle, can be moderately difficult in some places. It may take half a day to complete all three regions, especially if you stop to take in all the sights. Best to run in the cooler fall season and can become hot and humid in the summer. Adults are charged $5, children under 3 are free. Maximum $20 per family. Only opened to the general public in 2015, Alabama Nature Center (ANC) is truly a nature lover's paradise, featuring forests, streams, ponds and wetlands in its huge 350-acre property in Millbrook, AL. Previously, the Alabama Wildlife Federation would only host hands-on educational programs reserved for groups such as schools and churches. Fortunately, through the efforts of conservation-minded organizations, ANC opened its doors to all who desire to enjoy the outdoors. Runners have three trails to choose from: Still Creek Run, Turkey Ridge and Hilltop Pass. As can be gleaned from their names, the first features streams fed by Still Creek, the second includes more inclines, while the last takes you over the crest of a hill. Exclusive to two legged traffic, these trails are mostly dirt paths interspersed with mulched sections and boardwalks.There is even an elevated viewing platform of the boardwalk near the peak of Hilltop Pass that juts out over a valley, providing a panoramic view. Meandering through forests and splashing across streams and wetlands is sure to engage all your senses as you make your way through the varied terrain. Educational opportunities abound as there are instructional signs scattered throughout if you take the time for a pitstop. Starting at the NaturePlex, the trailhead to Turkey Ridge is accessed from one of its side doors. From there you can walk up past the entry road to Hilltop Pass. Still Creek Run is a bit further down. Benches are provided for tired feet. It can get muggy in the Alabama summers so do bring your personal hydration supplies. As I always admonish visitors to the South, be prepared to encounter unwelcome attention from wildlife of the six-legged variety (affectionately known as bugs) and lots of them. Young or old, novice or expert, everyone will enjoy running five miles through the best of Alabama's outdoors - traversing water, encountering wildlife, and seeing native trees. There are sufficiently moderate inclines to make it challenging to the seasoned runner. In addition to running, you can learn about the various wildlife conservation efforts at the NaturePlex, participate in the many programs held every week, and even go fishing in the ponds should you so choose. From I-65 exit 179 east toward Millbrook, turn left on the first road, S. Edgewood Drive, right at the T-intersection, then left on Lanark Drive which will take you into the Nature Center. Ample parking is available on two levels. Unfortunately, at this time, ANC forbids pets and bicycles. Rumor has it they are considering bicycle trails. Entrance fee is $5 for adults, up to maximum of $20 for the whole family. Open 9 am to 5 pm most days but check the website for planned activities.